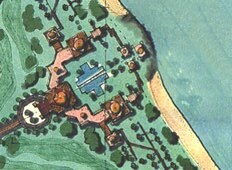 This is a development plan for a comprehensive resort off the east coast of Africa. 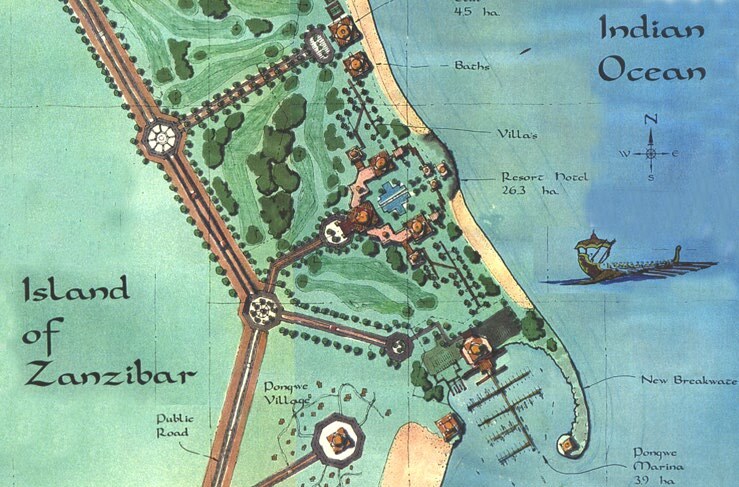 The project includes a resort hotel of 300 rooms, several waterfront and golf course villas, a marina for 100 boats, a recreation club, a golf course, and Persian baths. The site is 200 hectares, facing the Indian Ocean.